I love the holiday season. There is just something special about it. Perhaps people are more considerate and giving. I also love finding perfect gifts for the people I love. When I was teaching, my students loved the little art projects we would do leading up to winter break. 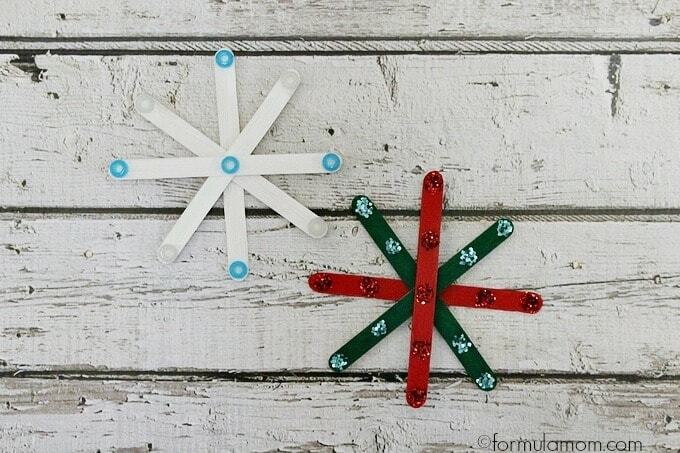 One of my favorite things to make with the kids were craft stick snowflake ornaments. They are so easy to personalize and they are also a great way to use up the extra odds and ends in your craft supplies! These are great for kids learning symmetry as well. They are a fun way to reinforce that kind of lesson. But they are also just a blast to make because craft sticks are an affordable craft supply. It’s a great way to spend a chilly afternoon during winter break with the kids. Break out all the leftover supplies like sequins, buttons, and glitter. Then let them get creative! You’ll end up with some easy and adorable handmade touches to add to your holiday decor! Paint or color craft sticks to desired color and allow to dry. Glue crafts sticks together into snowflake shape and let dry. Attach small piece of ribbon to hang. I couldn’t resist making a red and green one for Christmas and a white and blue one that works great throughout the winter season! I love them both and wish I had some sequins to use on them. We may pick up some next time we’re at the craft store. These are so easy they are addictive! 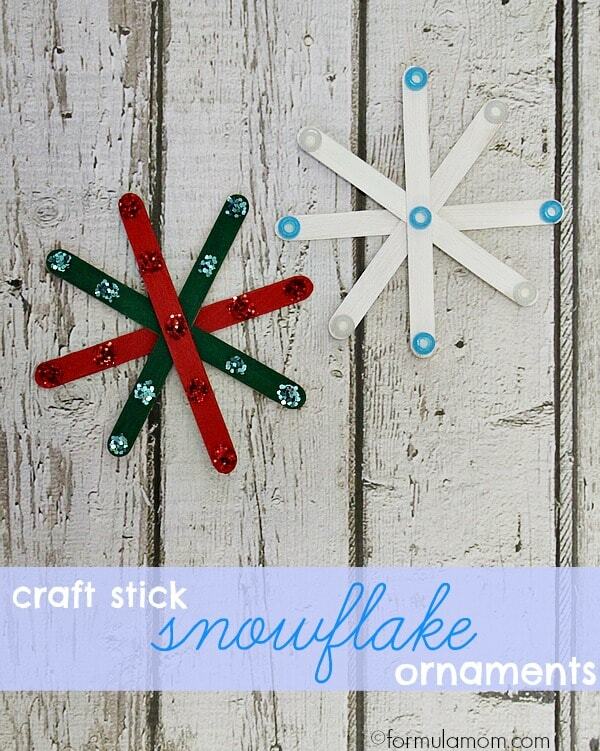 How would you personalize your craft stick snowflake ornament? Beautiful, I’m making them right now with the kids I care for! So cute! My son and grandson would have fun making these. I would love to have some to put on my tree this year. I love the red and green one! These look so easy to make. Easy enough for my grandsons to do! What a cute decoration! I love the white and blue snowflake.